We’ve all heard the old saying, “Look before you leap.” It’s a classic because it’s good advice. Many of us first heard this axiom during childhood as literal advice, but it applies into adulthood with financial decisions being a prime example. If you want to invest, you do your research. Your goal: Reduce as much risk as possible by getting the proper information. Within Intel’s robust ecosystem of software partners in the Financial Services segment, many that we’ve collaborated with over the years have used Intel® Xeon® processors to optimize their software. With faster, more accurate predictions based on more and more data, the risk associated with financial decisions can be exponentially reduced. 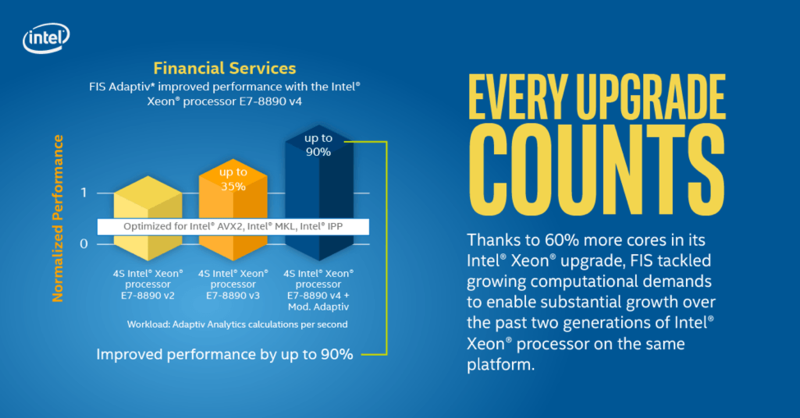 Here are a few examples of how Intel Xeon processors push financial software to new levels for great results. Timely data is essential in the financial realm, and the ability to act on that information can mean big gains. Kx Systems used Intel® Xeon® E7-8890 v4 in a 6TB configuration on their kdb+database to boost memory. This lead to a 28 percent speed increase which unlocked faster access to complex insights for their customers. The end result? Those customers get crucial profit and losses analyses to make decisions for their businesses. Speaking of phrases people throw around a lot, there’s a lot of talk about “the speed of business.” What does that mean? When you boil it down, it means being able to make the right decisions quickly. By utilizing Intel Xeon processor E7-8890 v4 and Intel® Advance Vector Extensions 2 (Intel® AVX2) instructions, FIS Adaptiv boosted risk and regulation computational workload performance. 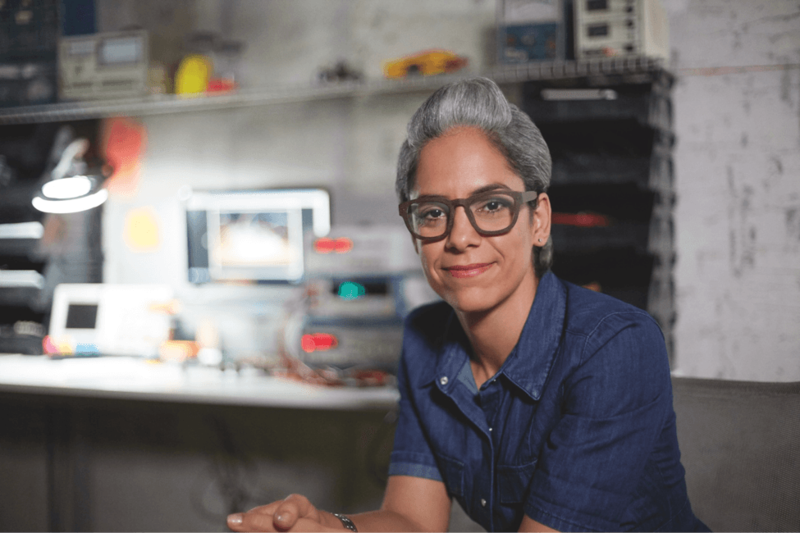 The 90 percent speed increase they experienced with an Intel Xeon processor upgrade allowed them to not only work at the speed of business, but to stay ahead of the pack. Wouldn’t it be great if you could take the guesswork out of being in the right place at the right time? By providing trading and investment information to the financial community, Fidessa hopes to help people hit that perfect window of the time and place needed for success. With Intel Xeon® processor E5-2697 v4 optimizing their Electronic Execution platform, they increased market access 11 percent and improved trade speed 24 percent to make every second count. And when every second counts, increased data processing to increase decision-making is essential. 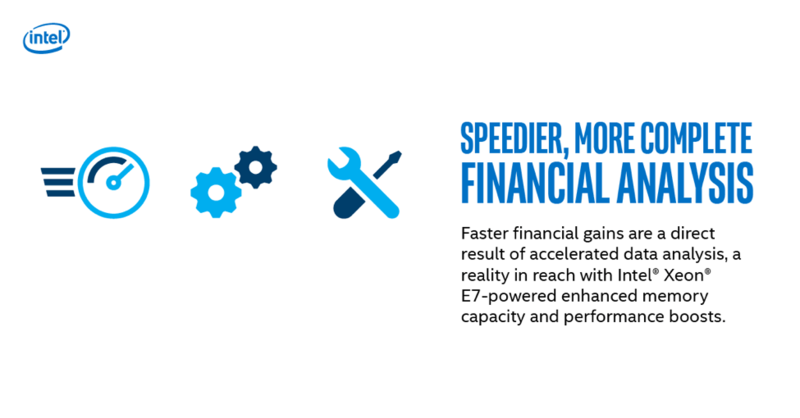 Learn more about the Intel® Xeon® processor E5-2697 and Intel® Xeon® processor E7-8890 to see how they can take your financial analysis to the next level.